Water bed Queen Size Bed Dimensions are 60 inches wide x 84 inches long. These are standard Water bed Queen bed measurements. 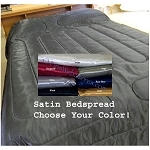 Water bed Queen Mattress depths can vary. 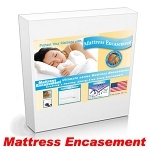 In general, a wood sided water bed mattress is about 9 inches thick.